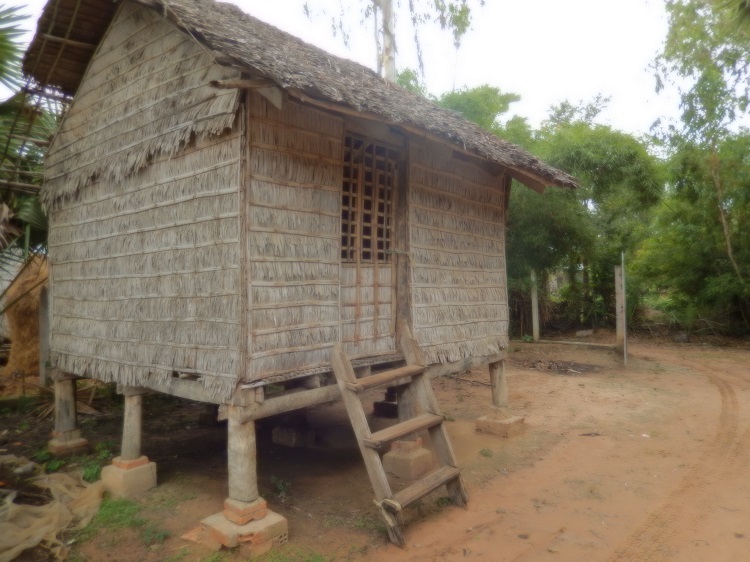 In reflecting on my time last week in Cambodia, I think that one of the most rewarding moments was the time we spent talking with a couple who are working to support their kids in school. 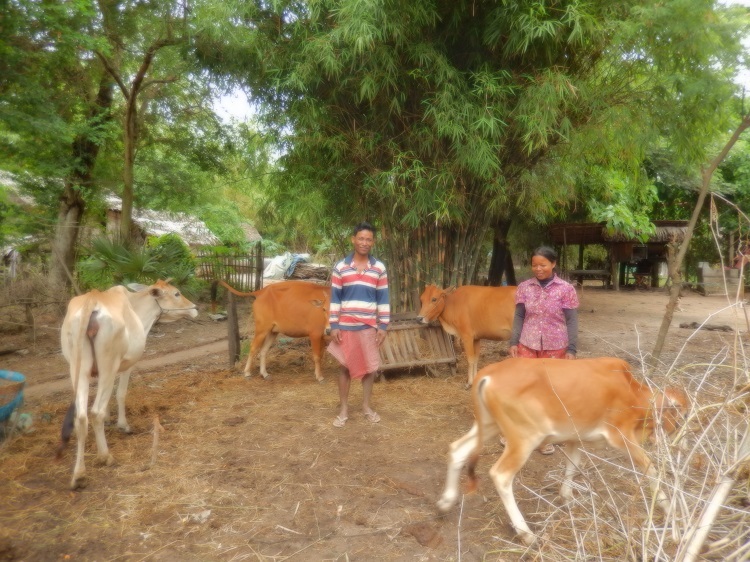 Yun, the husband and Neum, the wife received one cow from the Love Cambodia cow bank and will pay its $300 value back with 10% interest at the end of this year—-so that another family can receive a cow. Together this man and wife team gather lots of forage every day for the cows to eat. That’s a lot of work in the rainy season when the cows have to be kept in the home lot, and not allowed to wander into the neighbors’ rice fields! But in spite of the hard work it was great to see them smiling and to hear them describe their achievement of educating their children with such a sense of accomplishment. It’s a joy for me to be associated with self-help work like this. 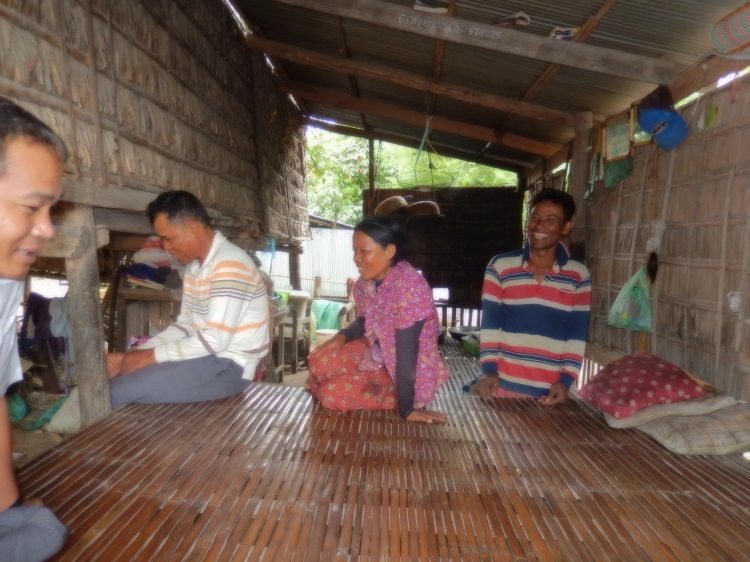 It’s a privilege to be part of the blessing that this cow-bank idea has been for Yun and Neum and other families like them in Cambodia.